This day last year, we were in Dubai, having stopped off on our way back from Australia. I wish I could say I loved Dubai. It’s just not my kind of place. In fact, it reminded me strongly of my least favourite place in the whole world, Las Vegas. 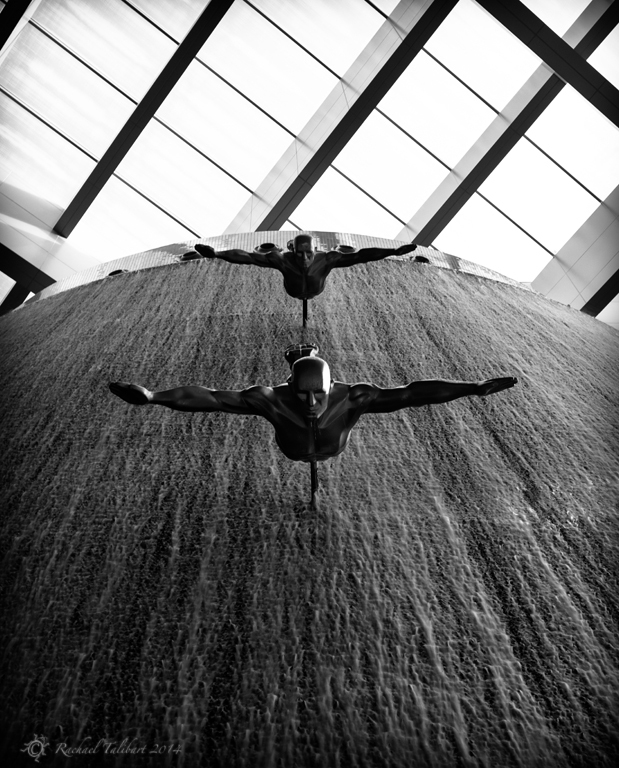 I did quite like this sculpture of diving figures in the otherwise overwhelming temple of excess that is the Dubai Mall. We thought it might be interesting to take a tour into the desert, but the more than 3 hours round trip just to get to a scrubby bit of dirty sand and some very smelly camels inside a wire fence did rather take the gloss off the experience. Still, I liked these strange little bushes with their roots exposed. They looked as if, at night, they might secretly tiptoe across the sand. 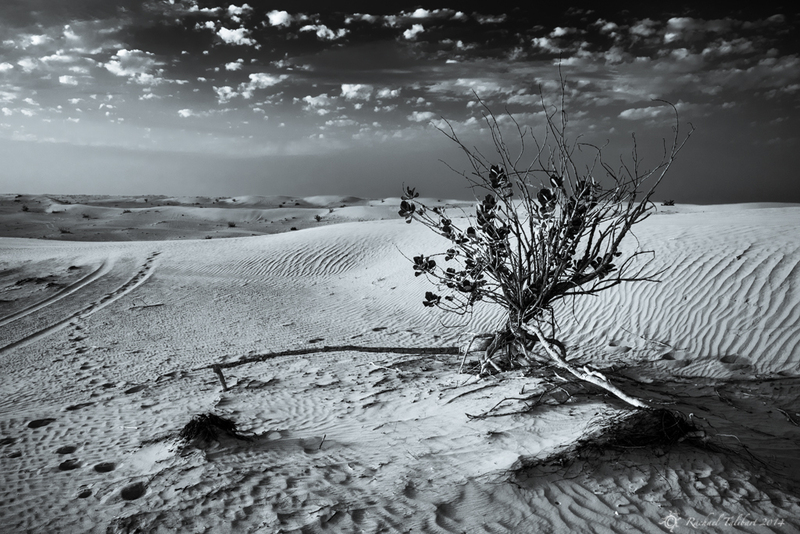 This entry was posted in photography, travel and tagged 365/2, black and white photography, Dubai, photography, project 365 by Rachael. Bookmark the permalink. Great blog! Never. Been to Dubai, have a relative working over there.. I like that there are echoes of your previous day’s shot in here too. But in completely different locales. I’ve only ever been to Dubai airport on the multiple stops on the way to Bahrain. Even though it’s only an hour flight away from me, I have no urges to go there.